Podiatric surgeons are uniquely qualified to diagnose and treat conditions that affect the foot, ankle and related structures using medical and surgical methods. The Australian Foot & Ankle Surgicentre (AFAS) is a centre of excellence for the diagnosis and surgical treatment of foot and ankle conditions. The objectives of the AFAS are to provide state of the art, cost effective treatment which allows patients to return to their normal activity level as soon as possible. 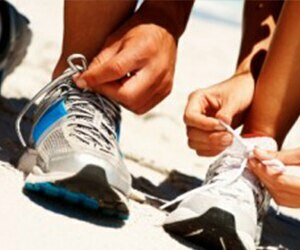 Podiatric surgeons are specialists of podiatry who only practice surgery of the foot and ankle. They must first be trained in podiatry and then undergo a further extensive 10-year training program. This means that they are highly experienced and knowledgeable in the diagnosis and treatment of disorders of the foot and ankle. Training in podiatric surgery requires completion of a three-year degree in podiatry at university. The podiatrist must then practice in general podiatry for two years and commence postgraduate university education in an ACPS accredited master's program, which usually requires four years of study. Rob Hermann's commitment to the advancement of podiatric surgery has been evident in his professional endeavours. He was honorary secretary of the ACPS for 6 years and vice president for 3 years. In addition, he is a member of the ACPS examining panel and a senior supervisor of training registrars as well as a lecturer at the University of SA in podiatric surgery. Rob Hermann is also a lecturer at the Queensland University of Technology where he has been awarded honorary fellowship of the academic staff at QUT's School of Public Health. He has also presented at numerous national and state podiatry conferences. This commitment has also seen him travel to the Philippines and Vietnam to participate in humanitarian medical missions. At least 70% of all foot and ankle surgery can be safely and efficiently performed as day surgery. This means that there is usually no need for the added expense and inconvenience of an overnight hospital stay. A responsible adult should be available to take the patient home after surgery and provide home support for about 24 hours. Most patients are reviewed by the podiatric surgeon at post op day 3 or 4, either at the day surgery centre or in the office setting. At this time all dressings and casts are changed and ongoing post op care is provided and explained.